Why You Should Love Your Plumber! Home / Lakewood Ranch Plumber / Why You Should Love Your Plumber! 1) You should Love Your Plumber, because he is honest with you. 2) You should Love Your Plumber, because he gives you options to fix your problem. 3) You should Love Your Plumber, because he says what he does and does what he says. 4) You should Love Your Plumber, because he returns your call promptly. 5) You should Love Your Plumber, because he treats you with respect. 6) You should Love Your Plumber, because he treats your home with respect. 7) You should Love Your Plumber, because he is neat and clean. 8) You should Love Your Plumber, because he shows up in a clean, fully stocked, organized, truck. 9) You should Love Your Plumber, because he can solve all of your plumbing problems. 10)You should Love Your Plumber, because he is always there for you, in your time of need. These reasons are just the tip of the iceberg for why you should Love Your plumber. If your Plumber doesn’t match up to these top ten reasons, perhaps it is time for a change. Plumbing problems are stressful enough, without having to deal with the thought of, did I pick a good Plumber or am I being taken advantage of. 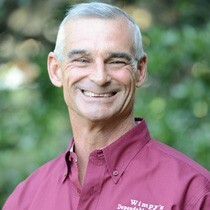 Ask your friends and neighbors in the Sarasota and Bradenton area about Wimpy’s Dependable Plumbing. Chances are they have used us and they Love their Plumber. We would love the opportunity to be your Plumber! Check us out online at www.Loveyourplumber.com and find out why our customers Love their Plumber. Call today 941-322-1911 or schedule online.